We listen to a lot of music. It really undercuts how seriously we take everything, but when you have the chance to blast music in the workplace you have a responsibility to do so for all the poor cubical dwellers who aren’t as fortunate. 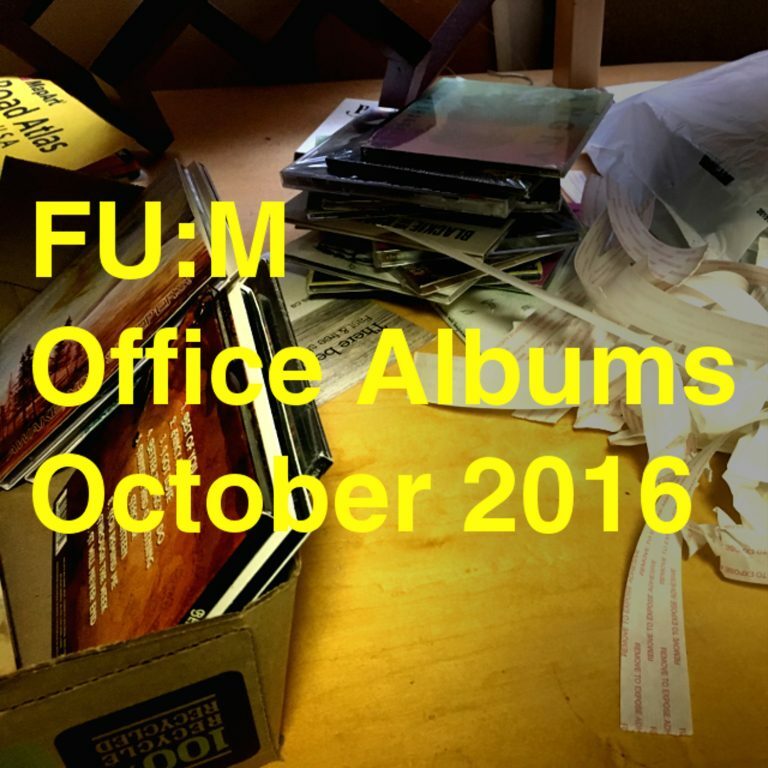 Here are the albums that filled the air in the FU:M Offices this past November. Never actually listened to this album before, can’t claim to have really listened to it this time, but damn did I ever need to listen to “The Universal” that day. I have no idea if it’s true, but the first thing I was ever told about Grinderman was that Warren Ellis setup all of the guitar pedals in the universe, and just trod over them at random letting whatever sound his witch-doctor dance summoned forth. This resulted in the first Grinderman record and a problem, no one kept track of what he actually did. On Grinderman 2 he actually had a pedal spotter keeping track of his mad alchemy, and whether or not it’s true this record goes a long way to maintaining my own guitar based musical beliefs. “I don’t have time to write and record music.” The only proper response for someone with an acoustic guitar is Tony Molina’s Confront the Truth. Substitute his other record, Dissed and Dismissed as a rebuttal to lazy aspiring to be Weezer influenced bands. Speaking of Weezer influenced, Ozma tended to be the source from which Weezer fans sought sustenance during their post Pinkerton disappearing act. I’d never accuse them of being a copycat, they just used a lot of the same sonic pallet, big guitars, melodic riffs, bolstered by more than B-Side relegated synths. Bonus points for the “Shooting Stars” riff, and for the finger on the pulse of the nation crush on “Natalie Portman”. I’m 80% sure the first time I heard a Secret Mommy song it was “An Apple a Day Keeps the Mac Voice Away”, and it was on a Doc Martin’s compilation a shoe store was giving away in Halifax that also featured Foo Fighters’ Color and the Shape album cut “New Way Home”. I was not looking for an elaborate construction of samples woven into noise so poppy that it overshadowed a whole summer of hits, but it definitely opened up the door to exploring how “not all noise is actually noise”. “Cry Babies” + “Die in the Summertime (Rje)” = gateway into what was at the time a tumblr web of nihilistic diy American Pop music. 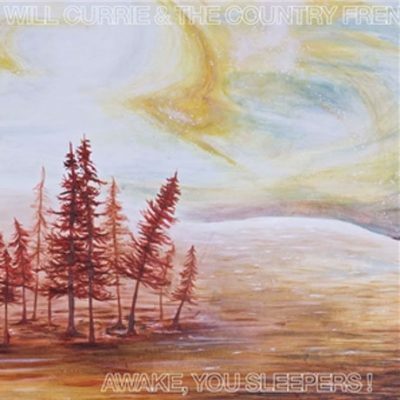 These seeds have sprung into the wishlist construction of Run For Cover Record’s roster, the rise of Alex G, and the opus that was Teen Suicide’s It’s the Big Joyous Celebration, Let’s Stir the Honeypot. This is the best BSS album by a long shot right? Just a stray thought back to the summer of the Godzilla soundtrack. I had picked up a Jale EP and Sloan’s Peppermint EP from the library, and was holed up in my basement writing embarrassing love notes to an email pen pal in Colorado whose real name I’m now only 70% on. So I tossed this on and was immediately transported into the summer sun beams that snuck in the window that probably would have been good for an awkward teen. The sonic connection is pretty obvious and I was curious as to the timing of That Dog and Jale, as it turns out they pretty much ran parallel through the early to mid 90s. First came across That Dog via their connection to Weezer via the Pinkerton b-side “I Just Threw Out the Love of My Dreams”. Fun fact: Anna Waronker of “That Dog” wrote many of the songs on what some have called the best music movie of all time “Josie and the Pussycats”. Fun FU:M fact – Petra Haden of That Dog is the same Petra Haden of FU:M’s third release, “Hearts and Daggers” by Petra Haden and Miss Muragtroid. That Dog and Weezer also connect to another record, Hear You Me a tribute record for Weezer’s superfans Mikel and Carli who died in a car accident. The album is one of the many collaborations that have begun to disappear as digital licenses have come to shape the musical landscape, but it’s absolutely worth searching for. Despite its tragic origins it is such a fantastic record, featuring Jimmy Eat World, Weezer, Ozma, a song by a band that may have never done anything called Gimby “Nerd in Shining Armour” which still echos through my post nerd identification mind, and a collaboration between That Dog and Beck. That almost led me to put on a Beck record, but I thought I’d keep the chanteuse streak alive and put on another album that features a Beck collaboration in the track “Heaven Can Wait.” Also led to me adding this song to Episode 1 of the File Under: Music Video Playlist which you can also check out there. In it, I also snub Beck… I don’t know why, I actually really like Beck records! Warming up prior to seeing them tonight at 333 with PWR BTTM. Will report back. **** Report back: WAYYYY more rocking live. Still a cool record. Read an article about complaints regarding an overcrowded venue and realized I’ve never listened to a PJ Harvey album. Decided to start with early work and take it from here. The sun went down, a chill swept through the effort, and I wanted the melodical comfort food of songs I can intermittently sing every word too between my heroic acts of worker productivity. Ohhh someone did write a protest rock record recently! My favourite Arcade Fire record by virtue of it’s cohesiveness. Also between Black Wave/Bad Vibrations, (Anti-Christ Television Blues), and calling their own Nostradamusing with “Black Mirror” and 2016 then occurring I’m legitimately afraid of Arcade Fire’s magic powers. My favourite Modest Mouse record; which I know has forever separated me from a large subsection of music lovers who view it as the herald of the end times. It’s not even because of “Float On”! “The World at Large” and “The View” are my top picks. Doubled down on Moonface because damn Spencer can write a song. Put this on because I saw they were playing in Vancouver. Did not go to show, 3 weeks later do not remember the album. This reflects more upon me than anything else. Read some delightful sponsored content regarding Money Matters with Nick Diamonds/Thornburn, which revealed that despite how The Unicorns were going to go all in on new material post 10 Year Anniversary Shows with Arcade Fire, they weren’t feeling it, and despite dump trucks of money that was enough to not bother. It took years of being unsatisfied with Islands records to discover that it was more Alden Penner’s fingerprints that I gravitated too with The Unicorns, and this Clues record is what really solidified it. Lot of people were talking about this album as among the years best at M for Montreal, and I had yet to listen to it, so a little time delayed FOMO and here we are, informed! I like it, but it’s really weirding me out; the songs are all essentially Ben Kweller songs, but the vocalist alternates between sounding exactly like Ben and exactly like Colin Meloy of the Decemberists, often in the same sentence. Which is awesome, 10/10 would like to see more genetic hybrids of bands I love. In grade 6 I wrote a short story based on “Shady Lane”. So I was destined for this for a long time.